Automatic invoice processing and invoice processing software can differ from product to product but they essentially try to achieve similar processes in what they do to improve your productivity and take the annoyance and tedium out of the actual processing. You scan your invoices into the system and from then the data is extracted using ADE or Automated Data Extraction. This is essentially reading your invoices then taking and storing the data from them so you don’t have to. From then the software uses OCR to read the data on the invoice and translate it to a computer readable format. Once that is completed, if you have an Enterprise Content Management (ECM) system in place, such as Microsoft SharePoint or Oracle, it can be extracted there, considering the software is compatible with your system. 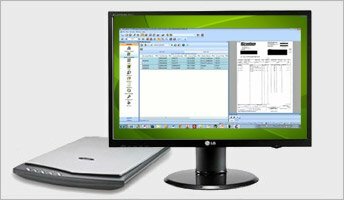 It’s also good to know that software like this is becoming increasingly compatible with many types of scanners, copiers and other devices that can scan the data, which means that there won’t be any need to purchase large scale equipment at a huge cost. After all, one of the major points about using an automated invoice processing system is that it saves you money, and that it will. It can also process files previously scanned which are in folders on your system waiting to be processed. The above process might seem long-winded, but the simple fact is that it won’t be of great involvement to you or your staff because the process is mostly automated and, with the majority of systems coming with easy to understand instructions on screen, it’s easy enough to manage. Automatic invoice processing software doesn’t actually come at a great cost either. So, when you consider what you’ll end up saving with the time taken back, which would have normally been sapped by doing the work manually, as well as a huge increase in productivity, the costs look even more minimal. Invoice processing manually is known to cost companies thousands and thousands each year, money that can be very easily saved by automation. Throughout this article we have referred to our own invoice processing software, PSI:Capture, but wanted to remain unbiased. However, PSI:Capture offers all of the advantages above and much more besides, so if you’d like to know more about our invoice scanning service and everything that comes with it, please visit our invoice processing page or get in touch today.